The seat of power in America is Washington, DC. The Capitol and White House bracket the Mall, to which millions of tourists flock every year to see the cherry trees, war memorials and to visit the House and Senate. On warm days you’ll find people sitting by the Reflecting Pool in the shadow of the towering Washington Monument. Washington DC is so much more than the seat of government or a tourist town. There are dozens of top-notch colleges and universities in DC and its surrounding areas. George Washington University, Georgetown University, National War College and The Catholic University of America just to name a few. That said, Washington DC is an expensive town for students to settle into. The cost of living is high, and when you factor in tuition, books, housing and essentials, the price to pay is high. Scholarships and grants can help offset the cost of living and studying in Washington DC. There are scholarships and grants available to nearly every kind of student in America, from local grants to national scholarships, grants for African-American students, for women, for international students and for students looking to study certain career subjects such as engineering or health sciences. These are scholarships open to residents of Washington DC and/or those wishing to attend an institute of higher learning in Washington, DC. DC Tuition Assistance Grant Program (DCTAG) is open to Washington DC residents to encourage enrollment at in- or out-of-state post-secondary institutions. Grants are neither need nor merit based and range from $2,500 to $10,000. The Virginia Space Grant Consortium (VSGC) was established by NASA in 1988 to promote higher learning in science, math, technology and physics. Annually, $300,000 is granted to students studying at participating VSGC schools – College of William and Mary, Hampton University, Old Dominion University, University of Virginia, and Virginia Tech as well as Virginia Community Colleges. Undergrad Research Scholarships are up to $8,500 for undergraduate students enrolled in a VSGC university pursuing aerospace studies and engaged in a research project. Scholarships of $1,000 for those wishing to teach technology and science to the next generation are also available. National Scholarships are open to all students across America, helping them to attend the post-secondary institution of their choosing. The Robert C. Byrd Honors Scholarship Program is open to exceptional high school students across America. The scholarship awards up to $1,500 to students with a record of academic excellence. The Federal Pell Grant Program is a national program administered by the U.S. Department of Education. It is a need-based program that helps offset the cost of undergraduate study. The Truman Scholarship provides up to $30,000 for students wishing to pursue a career in public service, such as Public Administration, Public Health, Social Work, Education, Public Policy or International Affairs. Because of the nature of the post-secondary subject the Truman Scholarship places emphasis on, it is essential that candidates have a strong track record of community involvement, such as ROTC, government internships, community boards or community leadership roles. Certain scholarships across America place emphasis on minority students. Many students from minority backgrounds are unable to afford college or university due to poverty in their communities. Minority-centered scholarships and grants make it possible for the brightest minority students across the country to further their educations and succeed. The William Randolph Hearst Endowed Fellowship for Minority Students is an academic fellowship offered by the Aspen Institute in Washington DC to further their program of philanthropy and social innovation. Grants of $2,000-$4,000 are made to exceptional minority students with a keen interest in pursuing a career in social justice or community involvement. The National Achievement Scholarship Program is for Black Americans with outstanding PSAT scores. Scholarships of $2,500 are given to 700 students with a proven record of academic achievement and top PSAT scores. The National Achievement Scholarship Program is a national program. The Earl G. Graves Scholarship is administered by the National Association for the Advancement of Colored People (NAACP). It is an award of $5,000 for Black students in the top 20% of their class and enrolling in a post-secondary business program. This is a national program. Howard University is a historically black university located in Washington DC. Howard University has a variety of scholarship and grant options that can be accessed on their funding page. The Zonta Club Jane M. Klausman Women in Business Scholarships is an international scholarship of $5,000USD open to any woman looking to pursue an undergraduate degree in business. Scholarships are granted for third or fourth year students who have excelled in the previous 2-3 years of their business education. This is a national/international scholarship. Microsoft offers the Women At Microsoft (WAM) scholarship for women pursuing higher education in computer sciences. Founded in 1990, WAM offers grants of $2,500 to two students every year. This is a national scholarship. While not every scholarship or grant program is the same, there are many of the same components in each one. For example, the essay. If you are applying for multiple scholarships and grants (as you should, in case you aren’t awarded your first choice), you will want to craft an excellent general essay, and merely tweak it to make it suitable for each individual application. For example, if you are applying for the Truman Scholarship, you will want to place more emphasis on community stewardship than on mere academic achievement in your essay. Meticulously check the list of requirements for each scholarship and grant you wish to apply for. Some may require letters from academic counselors at your secondary school; others may need a testimonial from a community leader such as a pastor or city councilor. Be organized and be early. When applying for multiple scholarships and grants, it is important to make multiple photocopies of all necessary documentation, and keep track of your applications on a spreadsheet program like Excel. Note the name of the scholarship program, the deadline, the date applied and any relevant notes. Don’t wait for the last minute to make your applications. Be early! Washington DC is a fairly simple city to navigate, with a clean and inexpensive Metro system to get you from place to place. Do some homework and research neighborhoods around campus by talking to alumni at your school of choice, the student coordinators, the housing coordinators and by checking internet profiles of different neighborhoods. 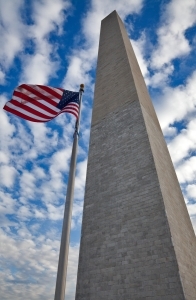 Take time to explore the many different neighborhoods in Washington DC. Smithsonian museums, national museums and memorials are all open free of charge. Students interested in American history and political science will want to take a day to visit Foggy Bottom, or an afternoon at the National Archive to see the Constitution, Bill of Rights and Declaration of Independence. i want to study social science and am international student writting from sierra leone but no financial help.